Even during summer fishing trips the weather in central Sweden calls for an extra sweater. 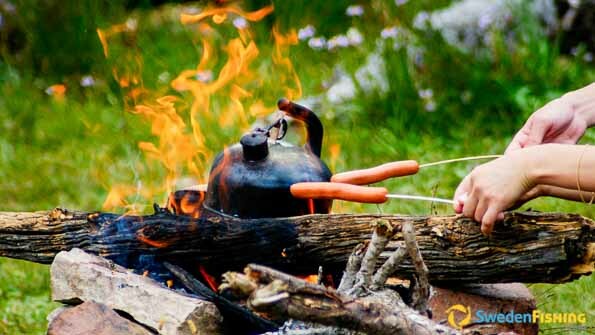 Evenings and nights can be chilly, though it is usually brilliant conditions in the spring, summer and early autumn. Once we travel further up in what we call central Sweden, we are constantly moving into latitudes where the weather differs radically from more southern climes. But since the entire 200-km long country is warmed by the Gulf Stream, the weather is never extreme. As Anna explains, “The average 24-hour temperature in Stockholm during January is 20-25°C higher than on the comparable latitude in Canada.” Farther north the differences are even greater. Situated on the same latitude as some of Siberia’s coldest spots, Umeå, on the coast of the Gulf of Bothnia, has a January mean temperature that can even reach 40 °C higher. The differences comparing to places like Göteborg on the west coast is not as marked, but still noticeable. Fishing in smaller lakes and streams is often best when the weather is good since insects are active then. 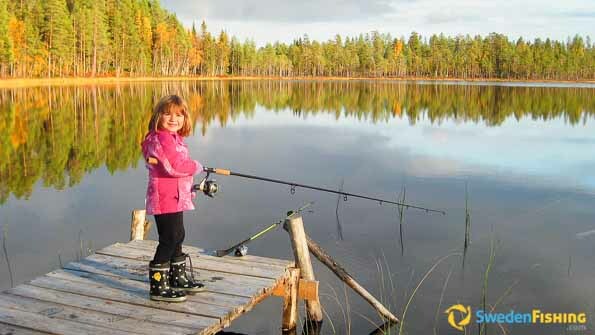 On the whole, the fishing season in central Sweden is rather long. However, there are large differences between the areas near the coast to the south and the alpine areas up towards the Norwegian border. In northern Jämtland province and in Härjedalen the weather is almost certain to be chilly as early as late September, while there is often ice-free water in the lower Dalälven River in November. When the winters are mild, it is sometimes possible to fish year-round without problems and it is rather unusual for the coastal waters to freeze over. 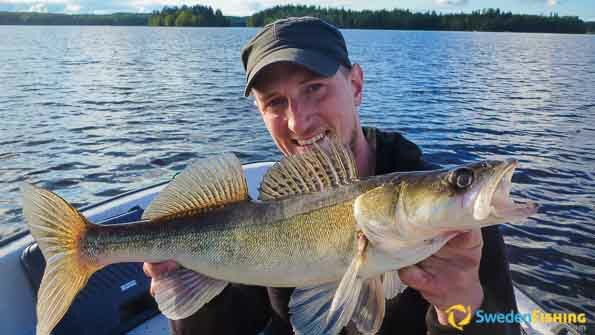 Naturally spring fishing starts at different times – located in the southern alpine region the region’s northern provinces are more reminiscent of conditions in northern Sweden. And when we talk about weather in general, most people quite naturally want warm weather with a light wind and brilliant sun in a blue sky. However, when it comes to fish the story is a bit different. Even if it feels good to be outside fishing when the weather is great, it is not always the best conditions for fishing. What is the best fishing weather can also differ between species. Fishing for pike with surface lures is probably the most exciting fishing to be found in Sweden. Anna, Sven’s partner, explains that “pike, for example, is a typical foul-weather fish that likes cool water, wind and overcast skies.” When it is sunny and calm, pike have a tendency to seek deeper water, especially the larger fish. This is why pike is best sought in spring before the water is too high in lakes and along the coast, as well as in the autumn when the water is cooling off. The best time to land large pike is late in the autumn. In central Sweden this means early in September and in southern Sweden even later when the pike gather under the enormous schools of whitefish.